Unai Emery joined Arsenal in May this year and the Spanish coach has won his last nine matches, and is now about to break Arsene Wenger’s record. Arsene Wenger coached the Arsenal team for more than two decades and the Frenchman has left a number of records including the legendary invincible season which won’t be broken any time soon. 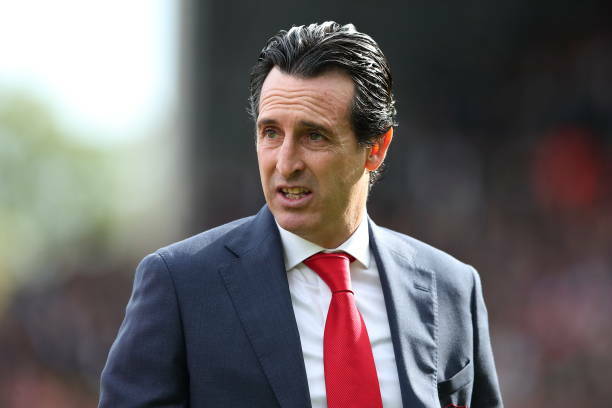 The gunners have appointed Unai Emery as their new manager and the Spanish coach will probably find it hard to become loved by the Arsenal supporters since the North London club was under the management of one person for over twenty years. Unai Emery has however showed that he is ready to take on the challenge of gaining the full support of the Arsenal fans even though the gunners lost its first two matches against Manchester City and Chelsea. Arsenal has won its last nine matches and Unai Emery is close to breaking Arsene Wenger’s record as explained below. So Unai Emery will be hoping to get a win against Leicester City, and then against Sporting Lisbon, later against Crystal Palace. and finally against Blackpool. So if he gets a win against those four matches, then he will have equalled Arsene Wenger’s longest winning streak of 13 games. Arsenal fans have been happy with the performance of Unai Emery so far because the gunners have shown that it won’t lose points when it faces the small teams but they still want to see him get a win against a top club like Liverpool and Manchester United.